Are you watching this drama yet? Why not? Oh I know its not all splashy and bright like some of the other dramas out there but it is filled with (wait for it) drama, and special moments that will touch your heart. It's sweet, not on a sticky get me to the dentist level, just sweet. Easy to watch for the immense amount of comedic moments if thats all you want, but also full of deeper emotion if you scratch the surface just a little. Have a gay person in your life? Friend or family? 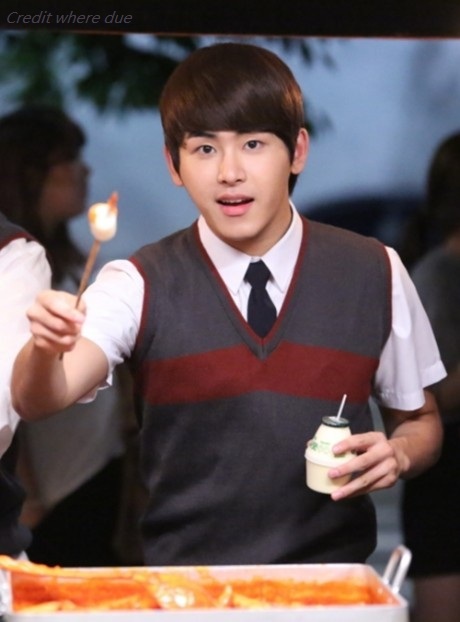 You will surely appreciate the way Hoya's character is being handled here. Normal, totally normal, like every other human being, as it should be. Infinite is so full of talent. L entered the drama realm a year ago with his Japanese drama 'Jiu Keishicho Tokushuhan Sousagakari'. And then gave an awesome performance in 'Shut Up Flower Boy Band' earlier this year. Now its Woohyun's turn with his drama 'The Thousandth Man' that just started.